His project Spearhead produced the critically acclaimed Home in 1990. The album contained his biggest single, "Hole in the Bucket," a thoughtful lament on the plight of the homeless, and "Positive," which addressed the growing AIDS epidemic. The album boasted adept funk samplings, sinuous guitar vamps, and soulful, melodic tracks about family and social injustice. 1997's Chocolate Supa Highway was not as pop-friendly as Home, but neither did its themes of kidnappings and police brutality lend themselves to such overt accessibility. Its mixture of harsher musical styles -- techno, rock, and funk -- was a step forward for Franti as his world view broadened and deepened. In 2001, Franti released Stay Human. In it he expresses his anger at the system, his advocacy of love, and his belief in freedom through individuality and self-expression through a set of songs that revolve around a fictitious death penalty case. In it, his embrace of the genres that inspired him is achieved with eloquence. 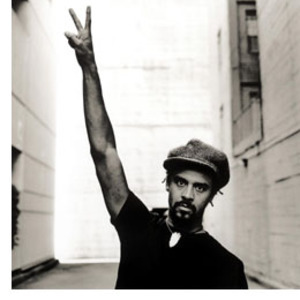 Earlier projects of Franti include The Beatnigs and The Disposable Heroes Of Hiphoprisy, which had more of an experimental/industrial sound, but addressed many of the same social/political issues. As a celebration of the Election of Barack Obama Franti recorded the Obama Song, offered as a free track on downloaded at their offical website, www.michaelfranti.com/.